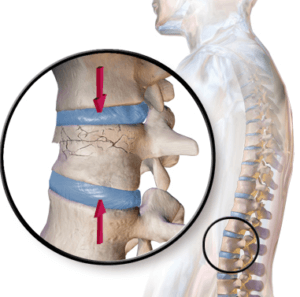 There are various injuries that cause middle back (thoracic) and low back (lumbar) pain. 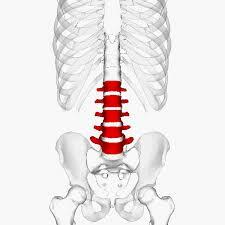 The thoracic spine has 12 vertebrae that protect the spinal cord and the lumbar spine has 5 vertebrae. Any type of spinal injury can be frightening because there’s always the fear of harming the spinal cord. Like most injuries to the body, there is always a range of severity. We various off the shelf and custom options to help any injury heal! If you are in need of a custom back brace please call for an appointment otherwise you may stop in with your prescription and we can assist you! LUMBAR SPRAIN/STRAIN: A lumbar sprain or strain is a spinal injury to the ligaments and muscles of the lower back. This low back injury is typically caused by improper lifting of heavy objects, twisting, and/or a very strenuous activity. A lumbar sprain/strain typically does not require surgery; always have a healthcare professional evaluate your injury, to make sure there is not an underlying more serious injury. LUMBER HERNIATED DISC: In between each vertabrae of the lumbar spine there is an intervertebral disc that helps cushion the spine between the vertabrae. The disc is made up of an annulus (outer border) and the nucleus (middle of disc, surrounded by the annulus). A herniated disc is when the nucleus is pushing through the annulus and can apply pressure to the nerves. With this type of spinal injury, you may experience numbness and tingling down your legs and pain at site of herniation. Surgery or physical therapy may be prescribed. THORACIC AND LUMBAR SPINAL FRACTURES: These types of spine injuries are caused by high impact trauma like a car accident or high contact sport. There are various types of fractures that can occur: compression, transverse, or axial. The most common type of fracture that we see in our office is the compression fracture. A compression fracture usually occurs on the anterior aspect of the vertabrae. Surgery is not always indicated with this spinal injury and bracing is typically the first option to allow the fracture to heal (unless there is a life threatening situation). Our specialists can answer your spine injury questions.